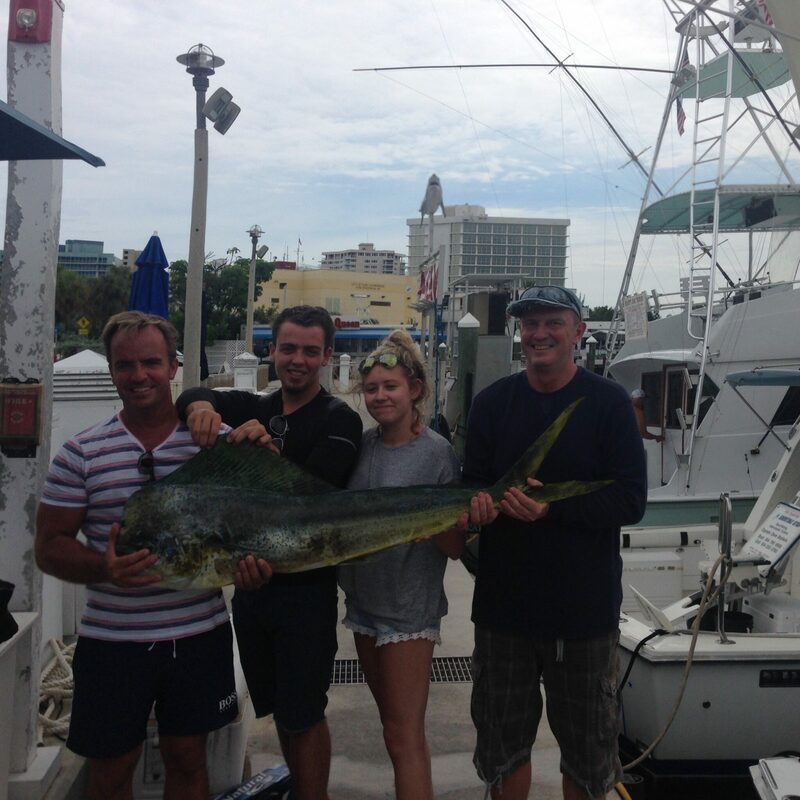 Sep 27Today we started out our day fishing with Zack from Missouri who wasI,m sorry to say we seem to have lost our notes and don,t have their name but all the same we ended up with this real nice Mahi Mahi caught by Zack. 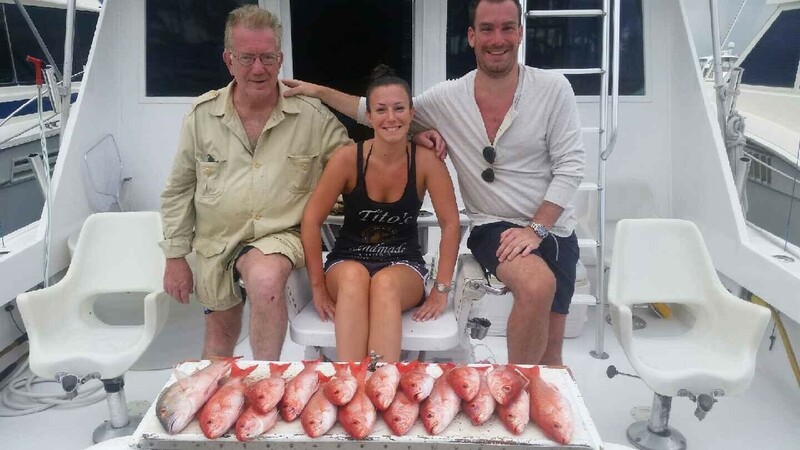 As we got back to the dock we had Kristina, Andrew and Scott from Philadelphia eager to give their luck a shot at some deep sea fishing off the coast ofFt Lauderdale. 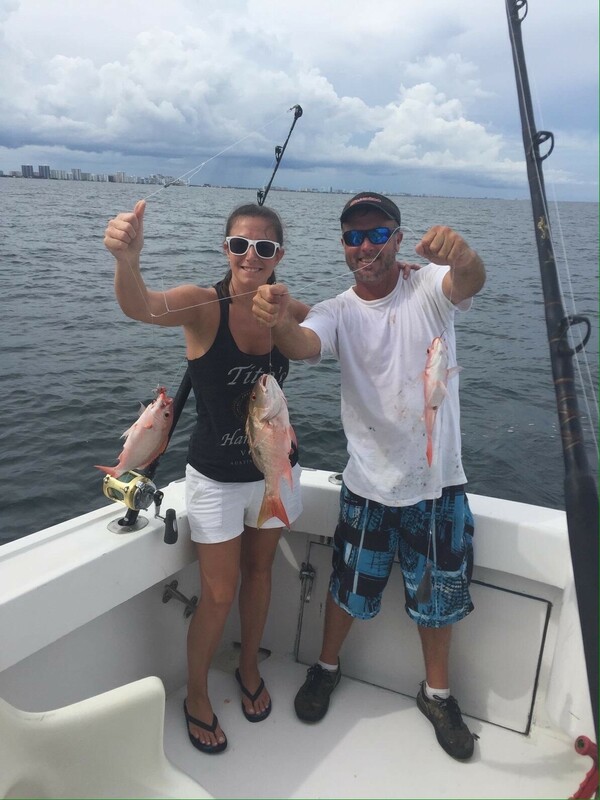 We ended up with 1 kingfish 1 mutton snapper and our limit of snappers.